If you would like to understand and dive into more details about the Profound Learning model you can visit the Imaginal Education website as well as the Masters Academy website in Calgary, where Profound Learning got its start. 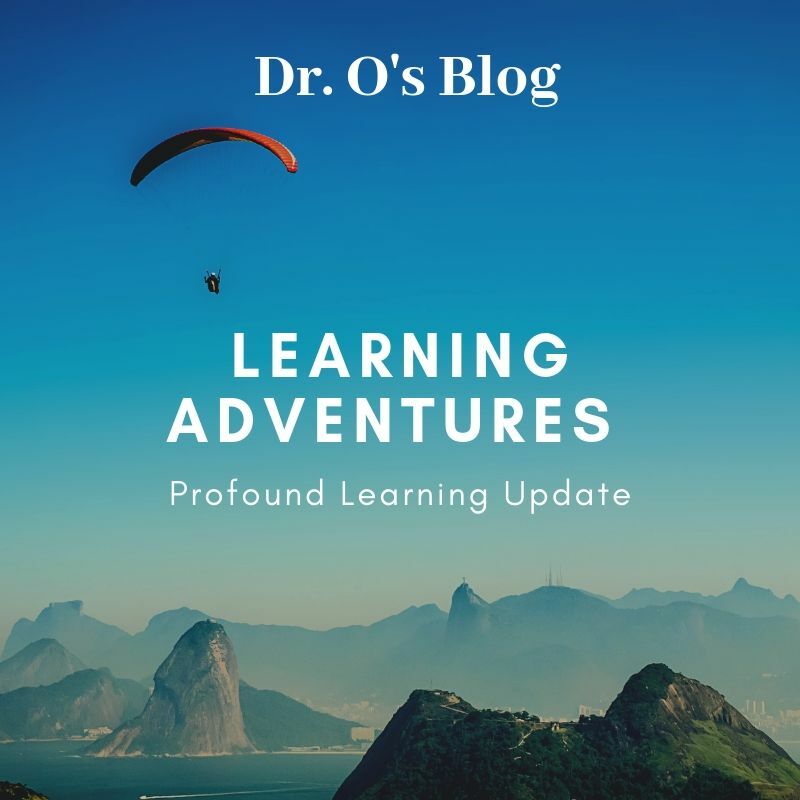 You can also go to this link and see the launch of our own grade 3 Learning Adventure along with some pictures of various Profound Learning elements popping up around the school. At PCS we are committed to growing an educational experience that will excite and engage the students and we believe that Profound Learning is the next step of that amazing journey. I was recently part of a 70th birthday celebration. No, not my own! It was a friend who had hit this milestone. It was the comments about his spiritual legacy that hit home. He had such a great influence on his family, and that part of the night is what stayed with me. 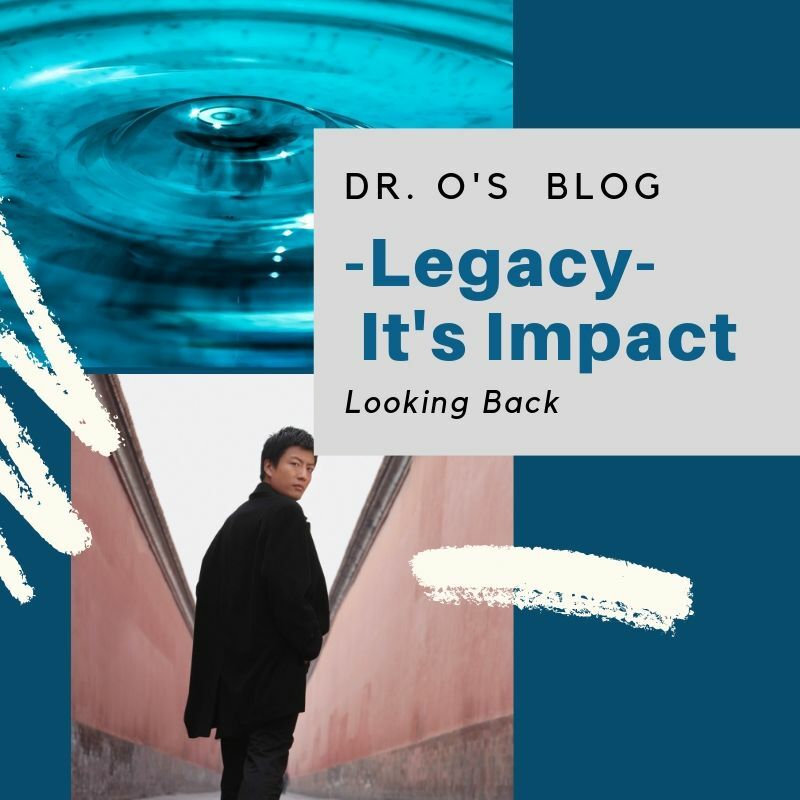 I had another opportunity to be a part of a legacy moment. Several former students, who were on their university reading week, dropped into the school. They wanted to once again walk the halls of the school and to interact with the teachers. The memories started to flood back, and we laughed and reminisced about their time at PCS. I called them into my office to show them a picture and while there, one of them spotted their Grade 8 yearbook on my shelf. Instead of leaving me to do my principal duties, they opened it up and sat down to flip through it. For the next half hour, while I tried to work on my computer, they laughed and remembered each person recorded in their grade and beyond. I appeared to be working, but was actually listening to what they remembered about PCS. What a joy to hear their words about a caring, spiritual environment that had touched their lives. It is almost report card time. It is a core value of PCS to be an academically sound and proactive educational institute. With our Profound Learning initiative and current curriculum assessment in mathematics and other subjects, we want to be providing our students the best in education. However, these activities, as vital as they are, will not create the legacy moments that will last a lifetime. The culture of PCS has been developed so as to afford students the opportunity to interact, grow, and experience the love of God in a unique school family experience. This is not the first time I have been involved in this type of experience with former students. It always amazes me how many alumni will bring up their memories of PCS in conversations with their friends. I truly pray that, as PCS continues to grow, these legacy moments will be a testament of the blessings that the environment, teachers, and administration have bestowed upon the hundreds of lives that have been able to call PCS their home. I heard a song by Casting Crowns that hits this point square on. It seems I just can’t drift away from this topic. Once again I find myself engrossed by the influence of technology in our youth. My last Blog was to highlight the need for parents to sit up and take notice of the dangerous conditions that exist in our culture. The potential for our children to slip into a digital swamp of useless and potentially dangerous ground is real. As parents who want to follow the biblical mandate to raise our children in the way they should go, we must be vigilant at all times. Parenting is an upstream battle. You must paddle constantly. If you slow down or stop paddling you will go backwards, and your children will be left without the necessary mature oversight. Their whims and desires will be deferred to the current amoral culture. Effective use of our time is the biggest weapon to combat these influences. We must actively be a part of our children’s daily lives, guiding and directing them on how to handle their use of technology. This may seem difficult to do. It would be so much easier to depend on giving them screen time to keep them busy so we can get some alone time at the end of our day. Last week, numerous PCS parents attended the digital seminar hosted by C4 Church, presented by Paul Robertson from Youth Unlimited (Toronto). 1) Pray constantly for your child because only the Holy Spirit can change their heart. 2) Don’t overly protect your child from pain and failure - it builds character. 3) Use and set digital boundaries with software programs such as Kidswifi and Digital Covenant. 4) Create digital free zones in your home, especially the dinner table. 5) Use hard copies of the Bible at church and home instead of your device. 6) Model the tech habits you expect from your child. 7) Keep them off phones and data packages as long as possible. It won’t harm them. 8) If they want social media sign them up from your computer. But do they really need it? 9) No one sleeps with a screen of any type in their room. Chargers are in the parents bedroom. 10) Encourage relationships. Kids with better social skills do better in life. 11) Have your child sign a digital contract and emphasize the need to keep their word. 12) Teach them that technology is a tool not a toy. 13) Boredom is your friend. They will figure out how to live without screens by engaging in other activities. 14) Go screenless when out with the family. Life will not collapse for a few hours. 15) Encourage time in nature and outdoor play. 16) Don’t believe the lie that if your child isn’t tech savvy they won’t survive the world. Teach the skills they will need for a high-tech future - decision making, time management, hard work and relational skills. So do any of these resonate with you? Are there some you need to implement right now. I pray that you will have the strength to practice them right away and chart a new direction for your family. Never forget that YOU are the parent and God is holding YOU responsible for these decisions. Whining and complaining by your child is not the issue. Rather, what is God calling you to do in your family? If you missed the seminar, you can still access a video of the evening here (Pro Tip: The main session starts at the 22 minute mark). On September 11, 2007, I heard the words that would change the rest of my life. The doctor at the hospital announced, “Mr. Ogborne, you have had a heart attack”. I can still remember the room. I can still remember that there were three people in there, and it became very cold. It goes without saying, that when you hear your heart has a defect, there is an uncertainty that starts to pierce your very being. I thank God for the comfort he gave me through friends and colleagues. However, as I lay in the hospital, the comfort that gave me the most peace was God’s Word. I started to search all the verses that talked about the heart. I finally settled on a verse that was my rock during this time, “You shall love the Lord your God with all your heart” (Deut. 6:5). It was the comfort I needed, because it is from the heart that our obedience flows. It is from the heart that a desire to do God’s will starts, and it is from the heart that we follow His commands for a successful life. So where am I going with this, you might ask? I believe our children are facing a heart attack every day. The world around them is trying to weaken their heart, so that it will not respond to the ability to do good deeds which bring glory to their heavenly Father. As parents and educators, we try to instill in these young lives a desire to do good. We help them to obey the rules, so that their heart will respond to the ultimate authority of God’s Word. 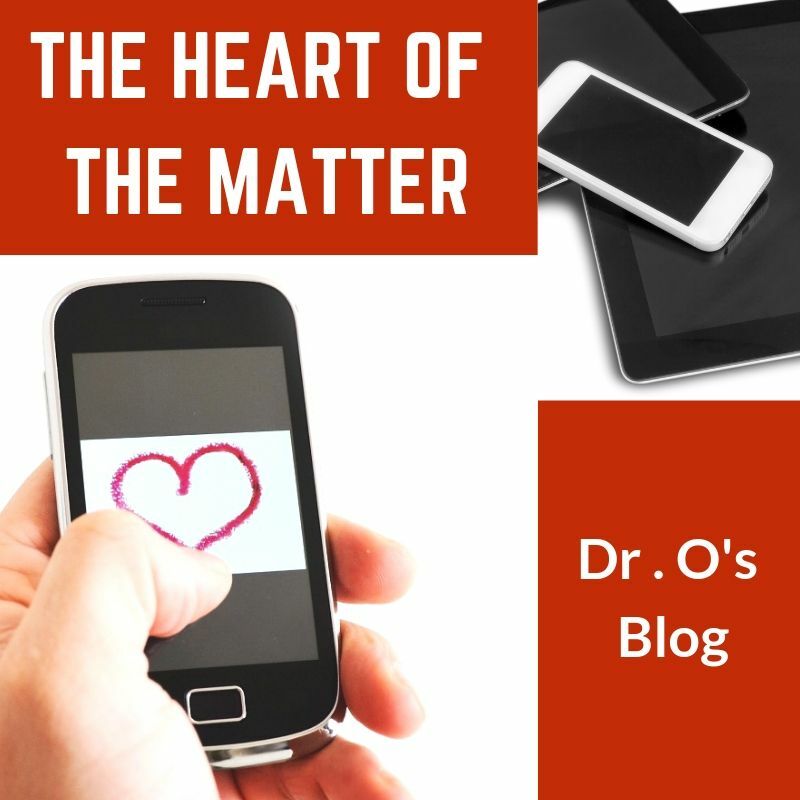 As the technology of this world saturates their lives, younger and younger children are having to make heart decisions about their life. There are not enough guidelines and rules that can be imposed to guarantee that your child will not indulge in inappropriate behaviour. As a school, we filter the internet at three different levels. Yet we still see the heart decisions of students that violate the very covenant that they have signed with us, as to online behaviour. It is true. Good students are making poor choices. They have a defect in their hearts called “sin”. As parents, you need to be more than diligent. You need to be actively thwarting the culture of social media and entitlement to the possession of electronics, by upgrading your technological knowledge and building a plan to address its use in your home. To accurately assess and guide your child’s journey, you need to know the direction and terrain that they will encounter. Last year, PCS attempted to bring in a speaker to talk about this very topic. Unfortunately, times and dates did not gel. As we planned to do it this year, we were made aware of a similar seminar being offered through Carruthers Creek Community Church (C4). In order to train your child, you must also be trained. I would encourage all parents to attend. Will having this knowledge solve their heart issue? No, but it will help you guide your child away from the moral pitfalls that could create habits that will damage their heart even more. If your first thought is that you should go, don’t hesitate. RSVP and make it happen. It’s too important to leave it for another time. Ultimately, all the rules in the world will not solve this. It’s a matter of the heart. As my mom used to say to me over and over, “a man convinced against his will, is of the same opinion still”. We need to be fervently praying for the Lord to grab their heart and give it the desire to follow Him. Be blessed and strengthened on your journey.